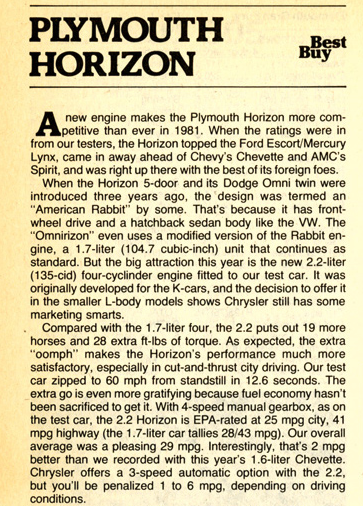 Written by Tom Appel in Classic Cars, Dodge, Plymouth, Review Flashback! For folks not in the know, Consumer Guide Automotive dates all the way back to 1967. 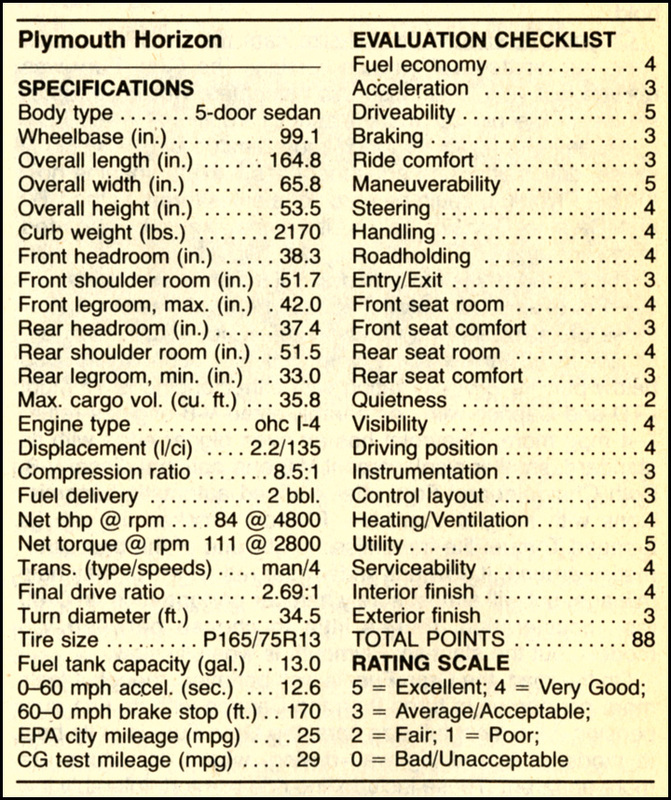 It was at that time a man name Lou Weber published the company’s first automotive price guide. For the record, Lou is still running things from behind the scenes. One thing we at Consumer Guide are pretty good at is archiving our work. Thus, we have a literal mountain of pre-digital auto-review material that exists only in print. Until now…. 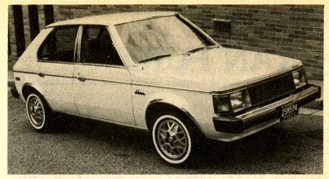 This review appeared in Consumer Guide: Auto Test ’81. Turns out we liked the Horizon well enough to bestow it our top honor: Best Buy status. We see here that our test Horizon averaged 29 mpg in our care. That’s worth comparing to our long-term Dodge Dart, which is currently averaging 26 mpg. Of course, the newer car boasts almost exactly twice the horsepower, and reaches 60 mph about five seconds sooner. 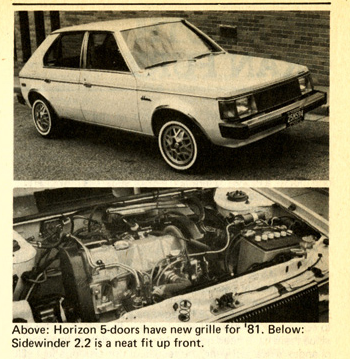 Also worth noting, at 2,200 pounds, the featherweight Horizon is a full half ton lighter than the Dart. A question for our sharp-eyed car spotter friends: Does anyone remember ever seeing these wheels on any other Horizon than this one? Written by: Tom Appel on March 1, 2013.on February 19, 2018.